The sliding barn door track system is part of a range of Cowdroy products designed to address the needs of the many Australians opting for medium to high-density apartments. The traditional hinged door that swings open and closed is common, although these doors take up significant floor space. 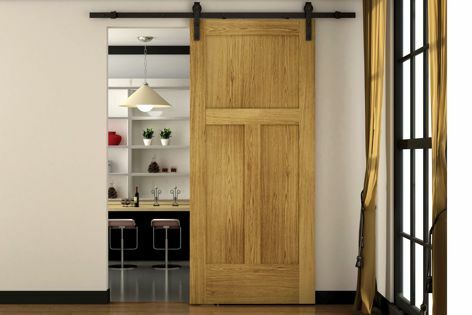 With a matt-black finish for an industrial look, the sliding barn door track system is a stylish option for saving space.